One Size Fits Most. Material: 97% cotton and 3% spandex. Quality Construction. 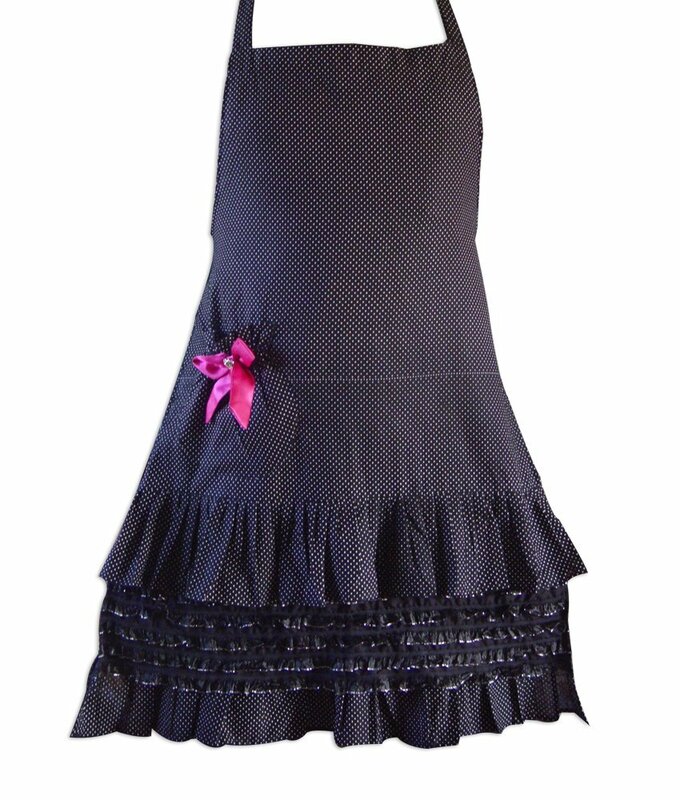 Stylish Black Apron With White Dots and a Pink bow. Perfect Gift to be given to your loved ones. Aprons for women gift ideas. By Wearing this apron women will be able to protect their clothes.